The long summer months are the perfect opportunity for a company-wide celebration, whether your company numbers hundreds of employees or just a handful. 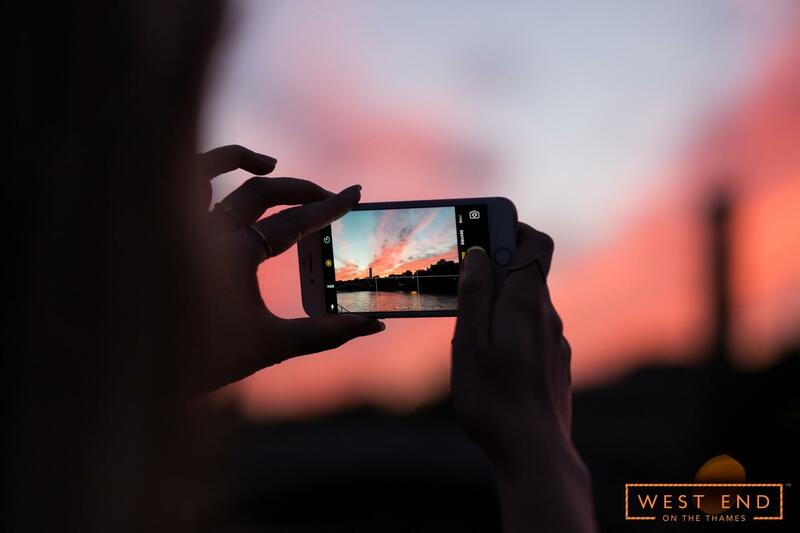 A summer party allows you to give something back to your employees, celebrate a successful 1/2 year and connect with your colleagues - but it needs to be handled well. To guarantee building an event to be remembered for all the right reasons, look to the water and a summer boat event. 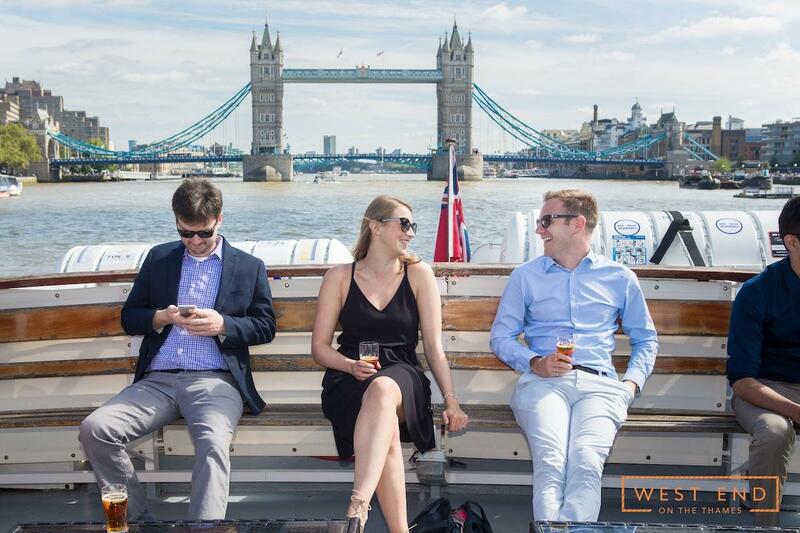 West End on the Thames’ fleet of vessels can accommodate groups of all sizes, from 2 to 500 people, and every vessel is perfectly equipped for summer celebrations. Their large open decks are ideal for lounging under the summer sun with chilled Pimms and an on-deck BBQ, all while your guests are treated to the extraordinary sights of London’s iconic architecture. 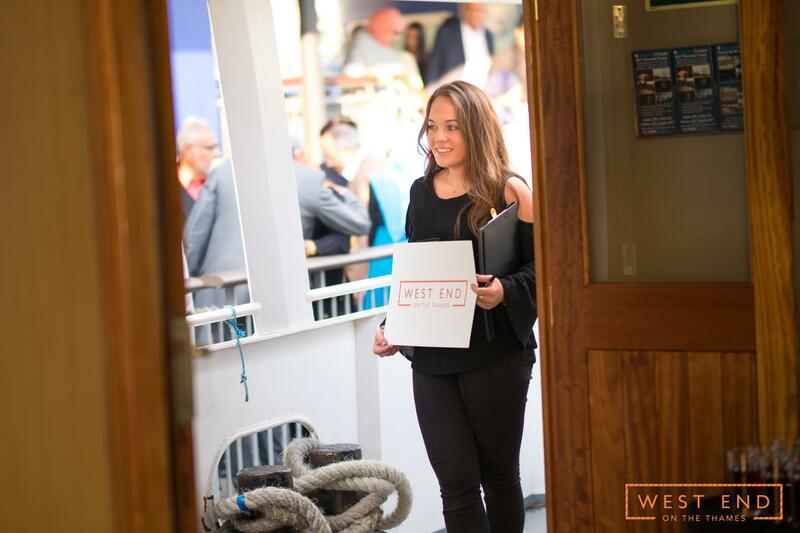 With their astounding customer service, West End on the Thames’ events team can tailor your event to your specific needs and wishes. If you’re interested in a themed party, such as a Summer Garden or Hawaiian Theme, their team can provide props, decor and catering to match, from synthetic grass and garden games to hanging lanterns and a steel band. The indoor spaces of these vessels are equally as impressive as the decks, however. With extensive floor space, bars and catering facilities, they transform into your own privately chartered dancefloor in the evening, though one with spectacular views of London’s illuminated skyline throughout. 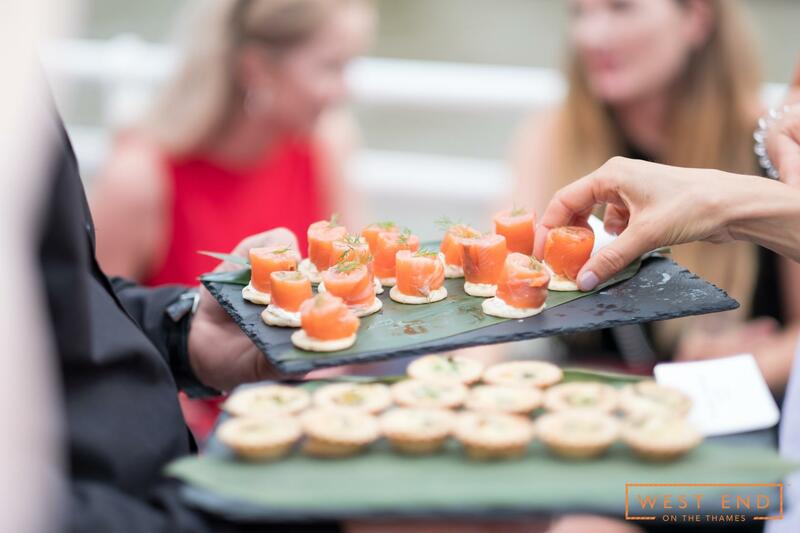 Again, West End on the Thames’ events team can customise the interior of the vessel to suit your function for a truly bespoke package, including catering, entertainment and decor. 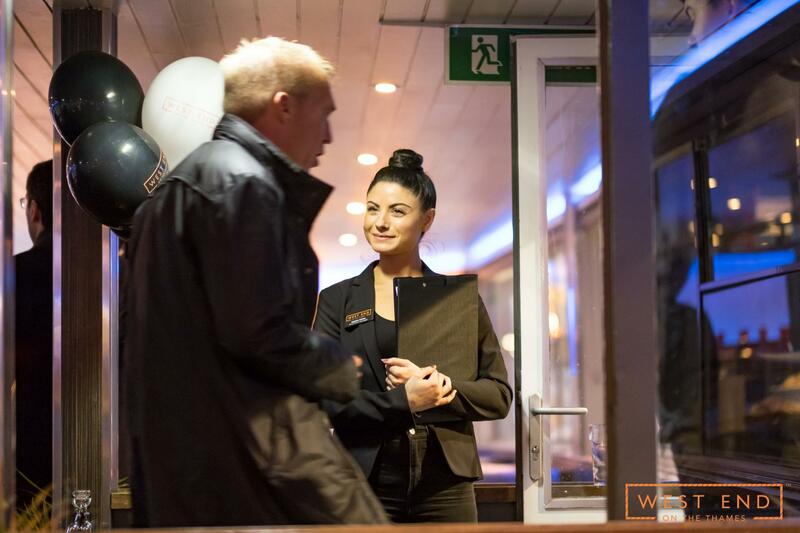 Their sales team will provide you with a quote once you have submitted a brief, from which their events team will liaise closely with you to create a superb function tailored to your requirements. Packages start at approximately £50 per person. 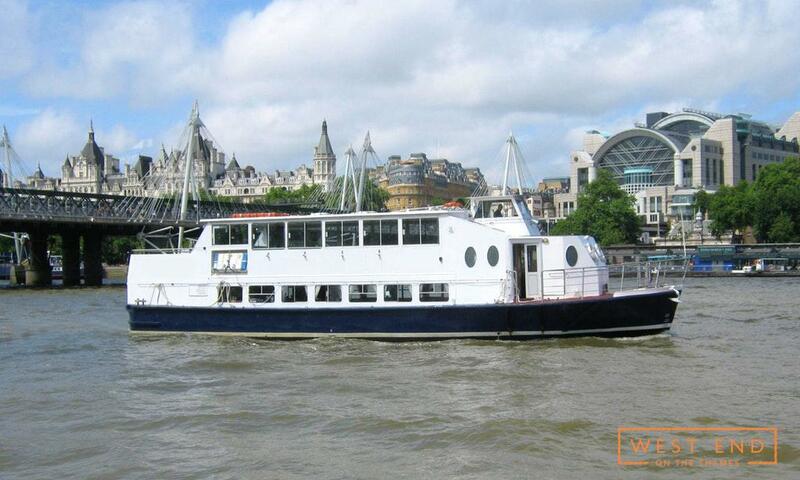 When it comes to summer celebrations, a privately chartered vessel on the River Thames is the perfect venue bar none. 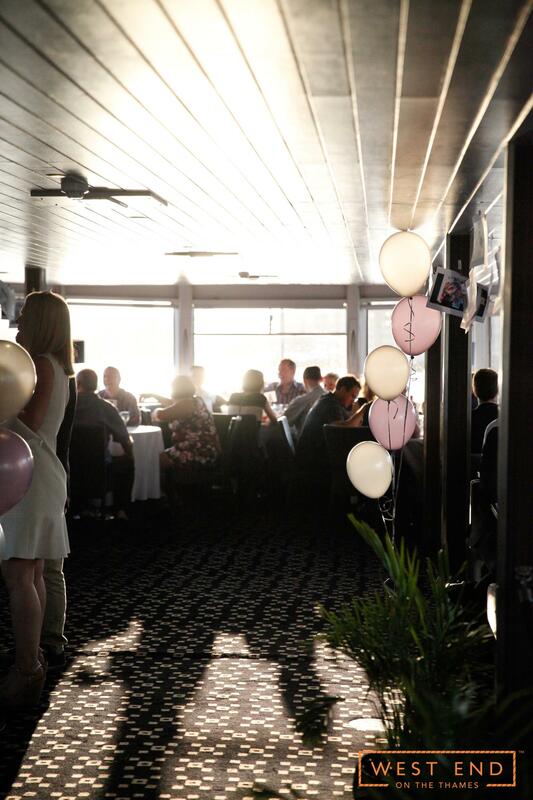 Not only is the unique quality of this setting sure to impress your guests, they feature everything needed to host a truly special occasion. The large, open decks of a river vessel allow your guests to lounge under the summer sun and can be outfitted with deckchairs, marquees and even synthetic grass to create a relaxed environment. With unparalleled views of the capital’s iconic monuments and architecture, your guests are guaranteed to leave with unforgettable memories. As the long summer evening draws in, the party can remain outdoors with the help of hanging lanterns and the glow of London’s illuminated skyline, though the interior of the vessel is equally as impressive. It can be customised as a formal dining area or vibrant dancefloor depending on the needs of your function, and each vessel comes equipped with bar and catering facilities. The guiding vision behind these vessels is West End on the Thames, a unique service providing private and corporate functions on the Thames. Whether you’re organising a wedding anniversary, birthday party or office summer celebration, their events team will create a bespoke function based on your individual wishes and requirements, tailoring everything from catering to decor on your unique event. 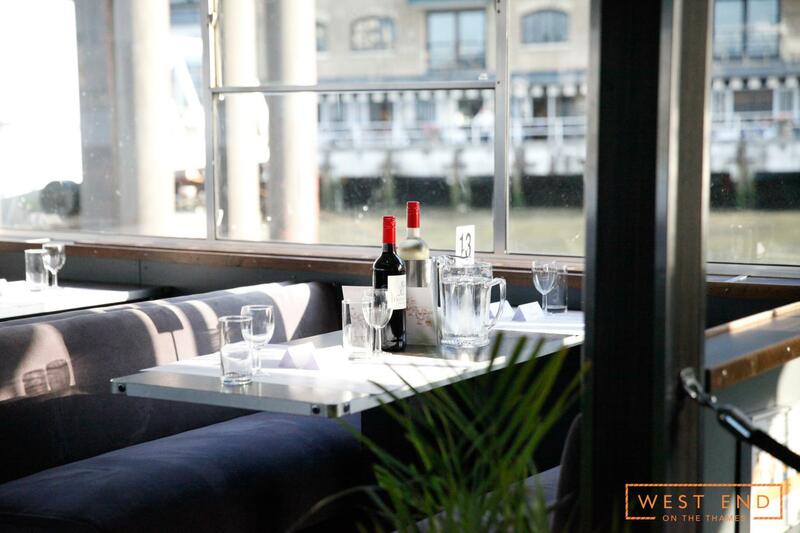 Whatever you’re planning this summer, be sure to consider hosting your event on a West End on the Thames vessel - your guests will thank you for it. Packages start at approximately £50 per person, depending on group size and event requirements. Any successful brand will invest as much time and effort into its employees satisfaction as any other aspect of business, which is why intra-company celebrations are so crucial. Whether it’s the launch of a new flagship product or the celebration of another successful year, an informal gathering of all your brand’s employees, shareholders and partners is an opportunity to integrate and energise your team members. 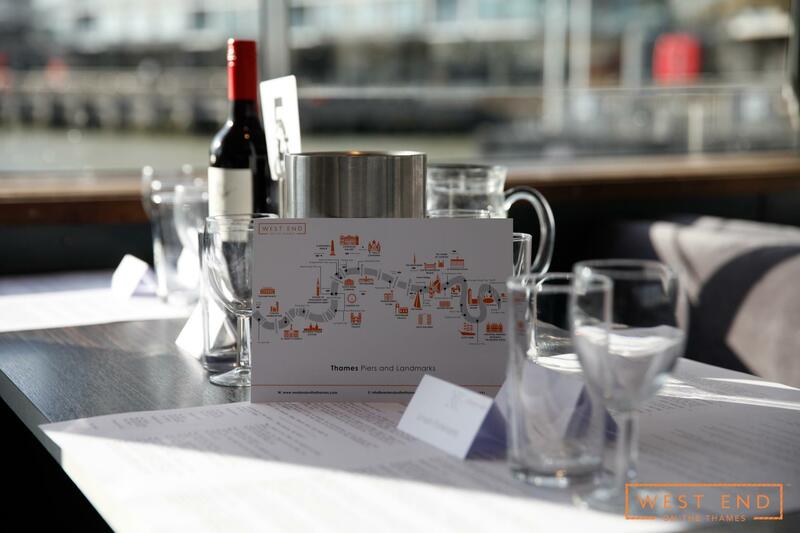 To ensure that all your guests not only enjoy themselves but leave with a positive impression of your company, consider hosting your celebration on a West End on the Thames vessel. 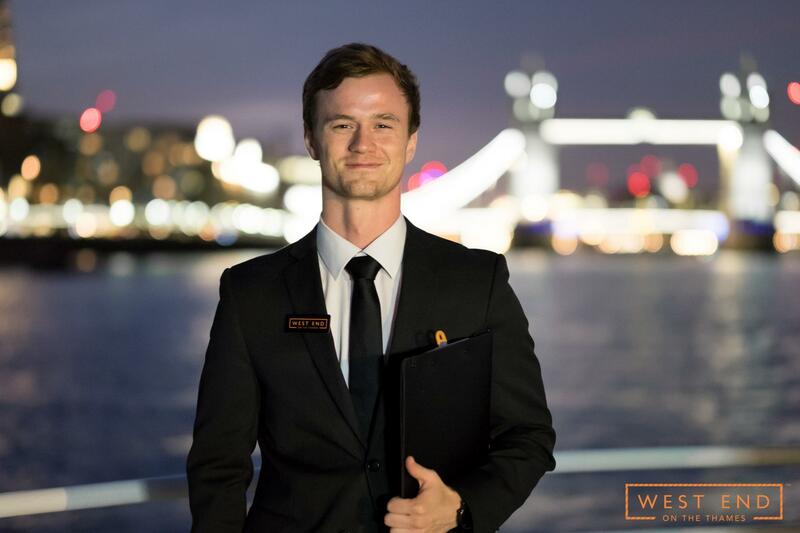 A unique events service operating on the River Thames, they create bespoke packages for corporate events designed to leave your guests with unforgettable memories. Their events team will tailor your event to your tastes and requirements. 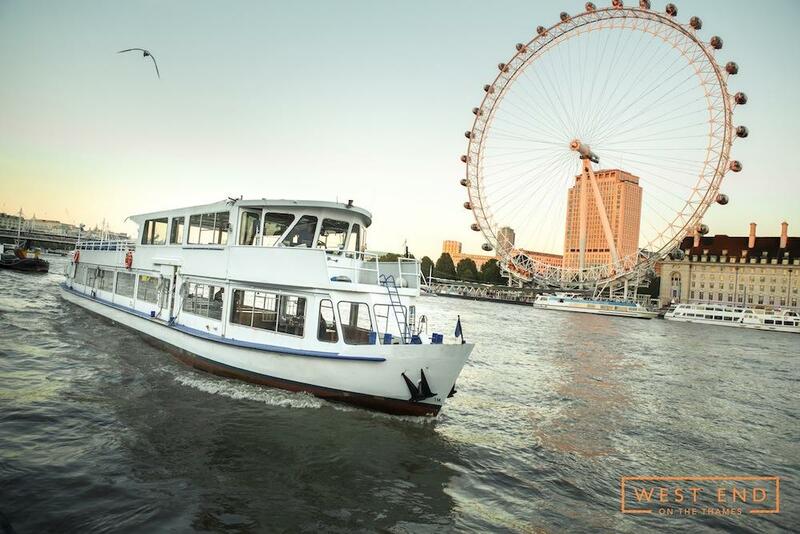 Whether you’re looking to create an informal, relaxed event that allows your guests to mingle under the summer sun or a cosy winter event with live music continuing on into the night, their team will put forward the vessel from their fleet that best fits your event type and outfit it with everything needed for a successful function. 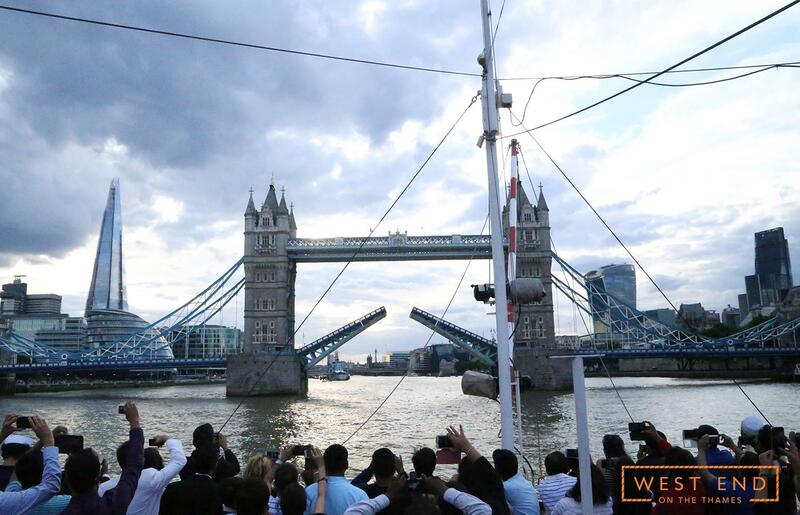 Whichever type of function you opt for, your guests will be treated to the unparalleled experience of sailing past London’s spectacular monuments and skyline. They specialise in creating exciting corporate events for ambitious brands looking to impress their guests, for groups from 2 to 500 people. Packages start at approximately £50 per person, depending on group size and event requirements. 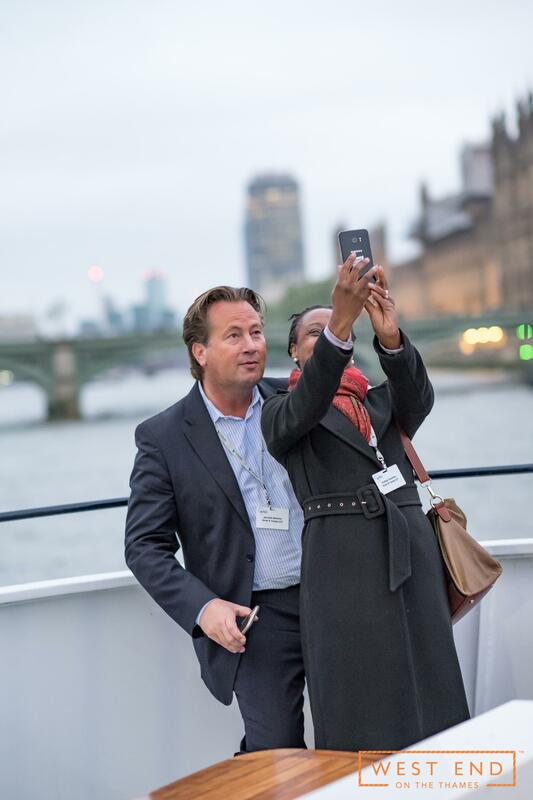 Ensuring a successful business conference or keynote speech requires exceptional attention to detail, creative experience and innovative thinking when planning the event - something that the West End on the Thames events team possesses in spades. 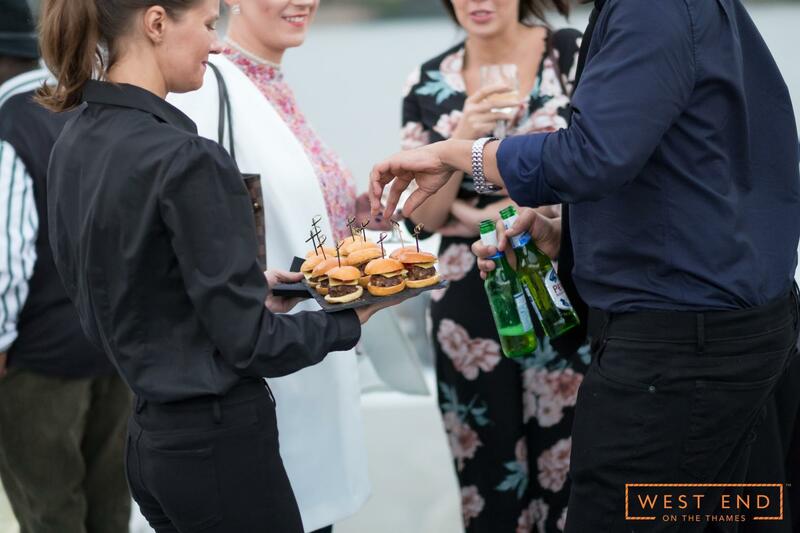 Their privately chartered vessels are the perfect setting for corporate hospitality events, capable of accommodating anywhere from 2 to 500 guests. 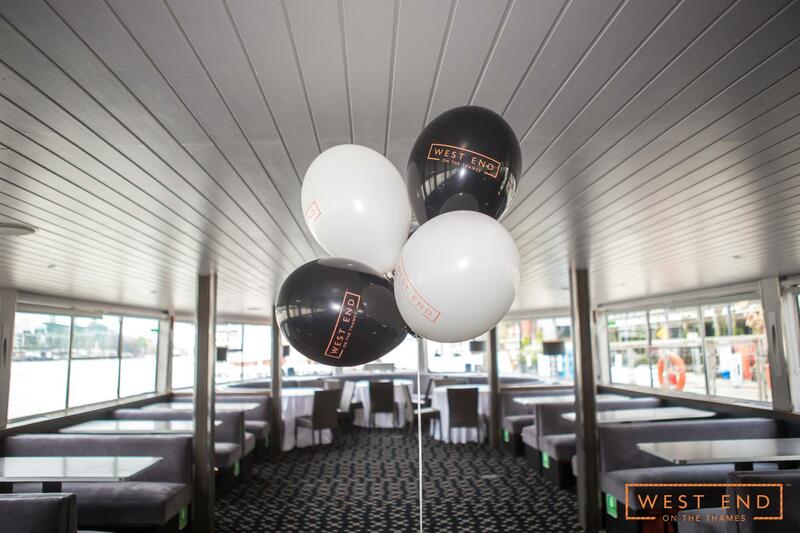 Each vessel comes equipped with sophisticated presentation equipment, bar and catering facilities, and can be decorated as your brand sees fit. With temperature controlled floors and both indoor and outdoor areas, their vessels are perfectly suited to corporate events. Their team will liaise with your brand to create a bespoke package ensuring a successful event, tailored to your requirements and budget. With London’s iconic and inspirational skyline as the background, your function will be sure to foster productive conversations with your guests and leave them with unforgettable memories. 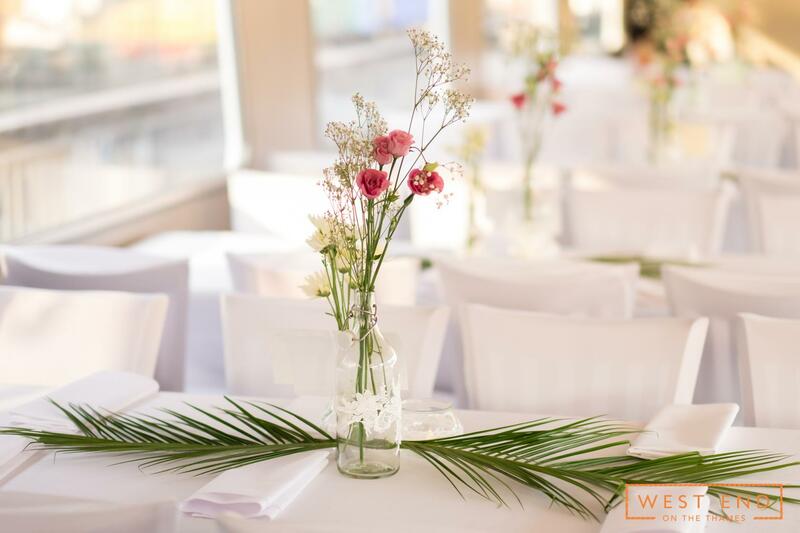 Finding the perfect venue for your wedding reception is no small task. Help, however, is near at hand. 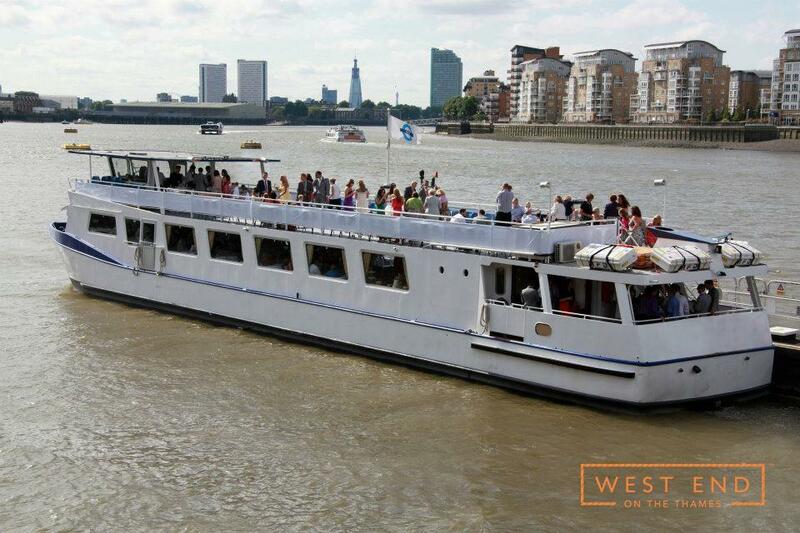 West End on the Thames are London’s leading provider of events on the Thames operating a fleet of vessels. Their unique venues are stunning in their own right, with smart furnishings and comfortable seating, not to mention space to accommodate hundreds of guests (though smaller vessels are available for more intimate groups). The most impressive feature of these vessels, though, is their location: the heart of London. 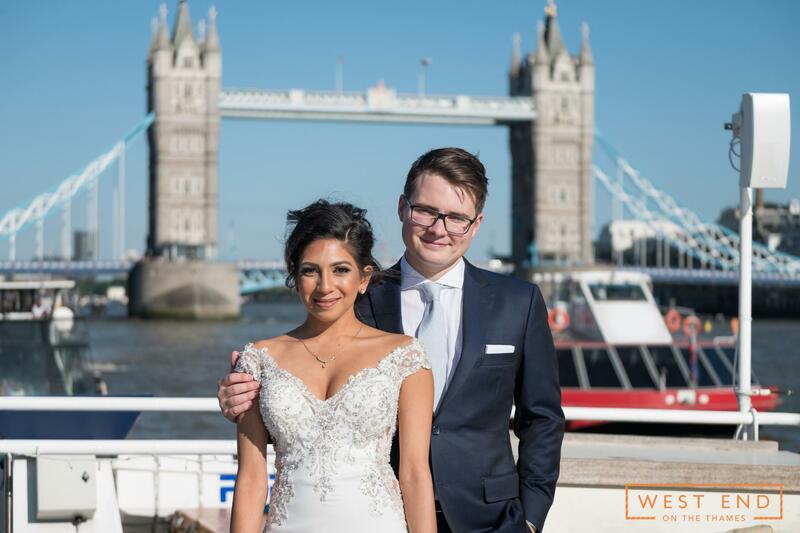 As your guests sit down to the wedding meal and prepare for the speeches, they will be floating gently past some of the capital city’s most iconic landmarks, from the Houses of Parliament to Tower Bridge. 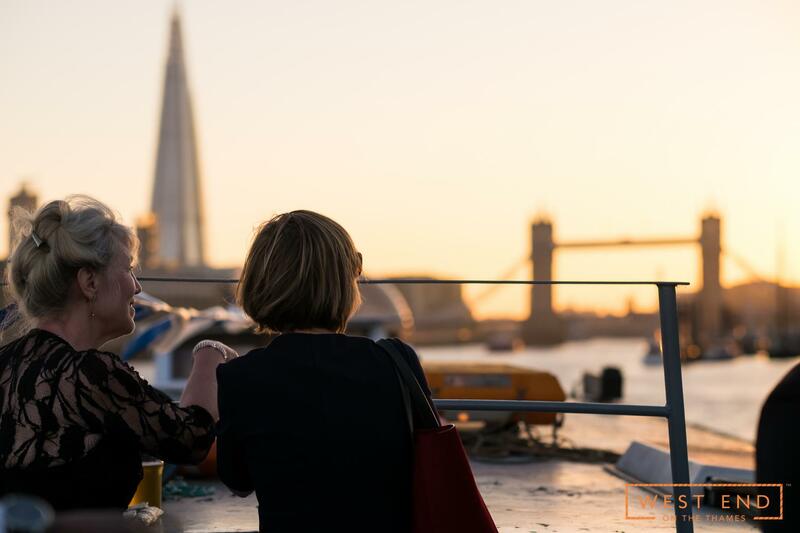 On deck, family and friends can mingle with drinks while soaking in the atmosphere of London’s impressive skyline, from Canary Wharf to the O2. Having these towering monuments as the backdrop to your wedding celebration – and your wedding photos – is an experience that neither you nor your guests will ever forget. 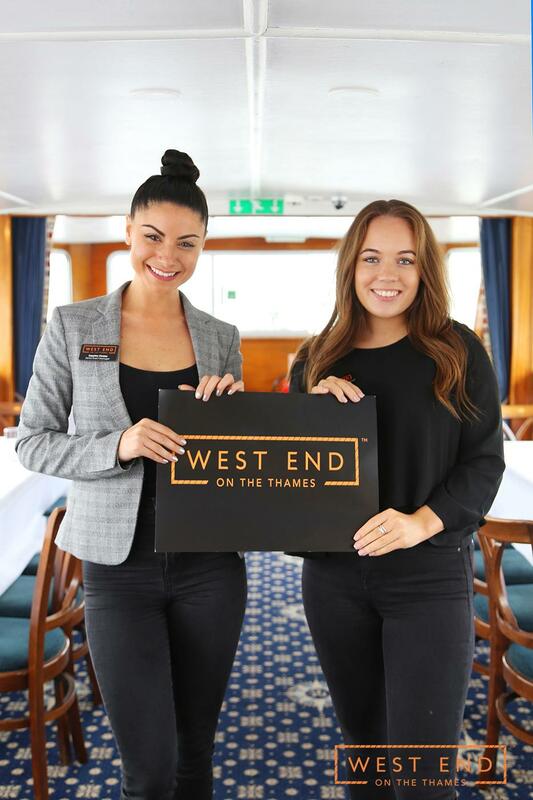 By partnering with West End on the Thames, you’ll gain the assistance of their team of experienced event planners, who will ensure that your wedding reception is the perfect event for you and your partner. 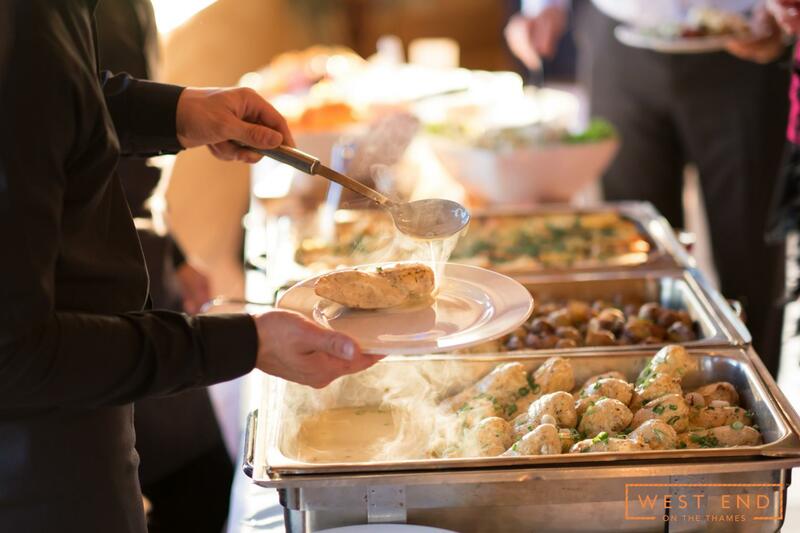 With meticulous planning and preparation, they will source caterers, décor, live entertainment, photographers and drinks providers to suit your individual tastes, creating a bespoke event tailored to your dream wedding. No detail is too fine and they pride themselves on delivering functions that are exactly as you imagined them. 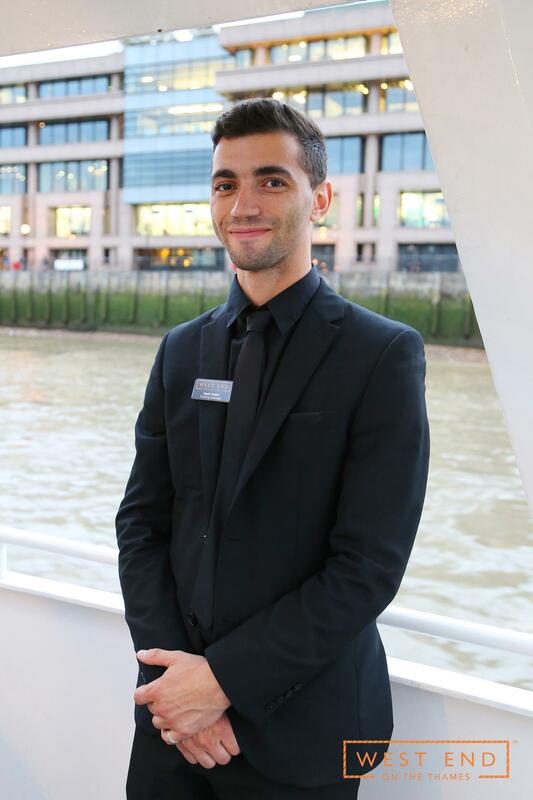 On the day itself, their renowned customer service will guarantee that your guests enjoy themselves, though that’s a near-certainty just by the virtue of attending a floating wedding reception, cruising through the centre of London. This is an incredible opportunity to provide an unforgettable experience for your guests, and to host the wedding of your dreams. 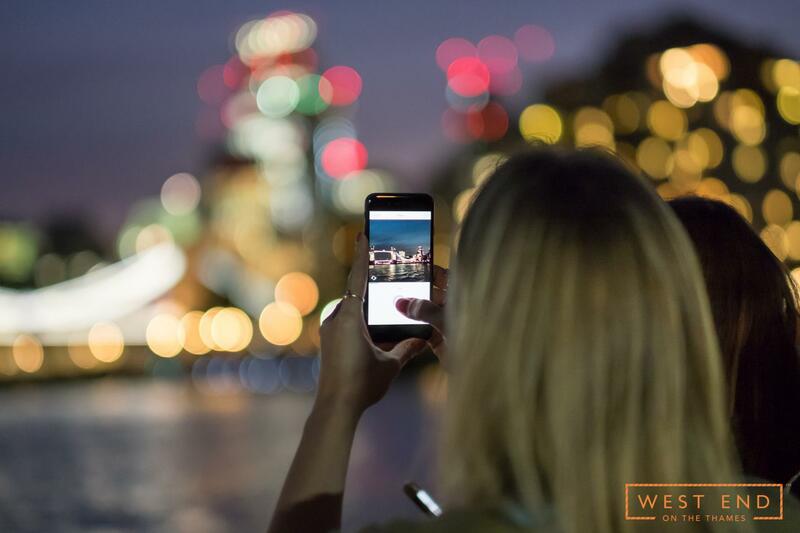 The Thames’ path through the centre of London runs past the most iconic features that the city has to offer; WEOTT V’s outdoor deck is the perfect to place to view them as you float on by. Ideal for summer BBQs, the deck is also easily accessible from the heated indoor areas, making it just as suitable for events held in the winter months. WEOTT V is a modern and versatile vessel, boasting two separate floors and an outside foyer deck. Each indoor deck is large enough to host a variety of functions, with the overall capacity of the vessel reaching 90 guests. Both indoor levels are furnished to a high standard, with plush upholstery and bespoke decorating creating a unique experience on the river. This setting is perfect for either corporate functions or private events. 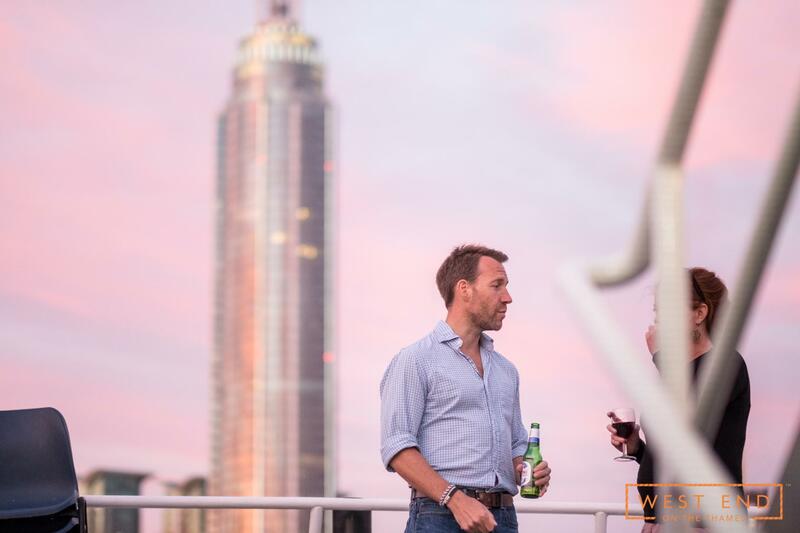 London’s impressive skyline is best enjoyed from the deck of the vessel, with 360° views towering above you; this experience is not impeded by being below decks, however, as large windows open out across the waves all along the vessel. 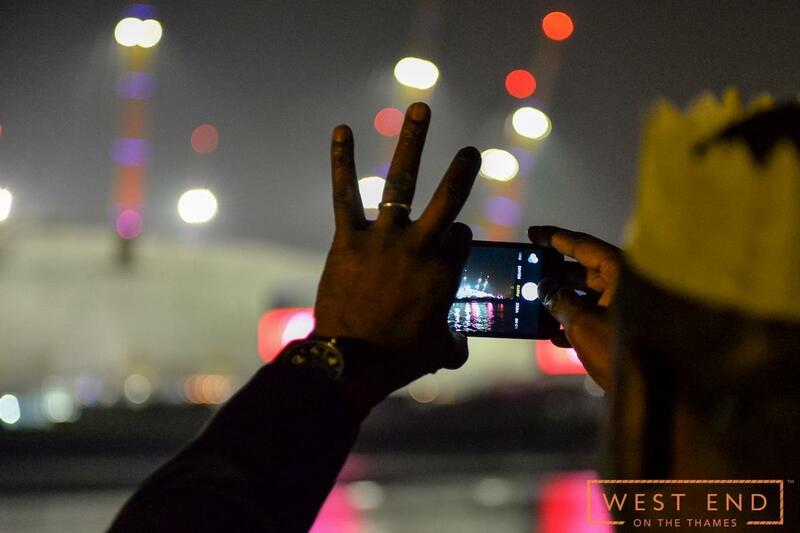 Either by day or night, London’s majestic landmarks are available to our guests. The enthusiasm of staff to make our event run smoothly and special. Catherine (on-board Event Manager) Amy Waiting staff and Craig Bar staff were particularly over and above expectation! A “shout out” to Sapphire for her assistance in planning every last wonderful detail! It was a breeze planning my event from the USA! The entire staff onboard was gracious and efficient! The food was delicious and the drinks just kept on coming! Our guests were amazed at the quality of the event! THANK YOU EVERYONE!